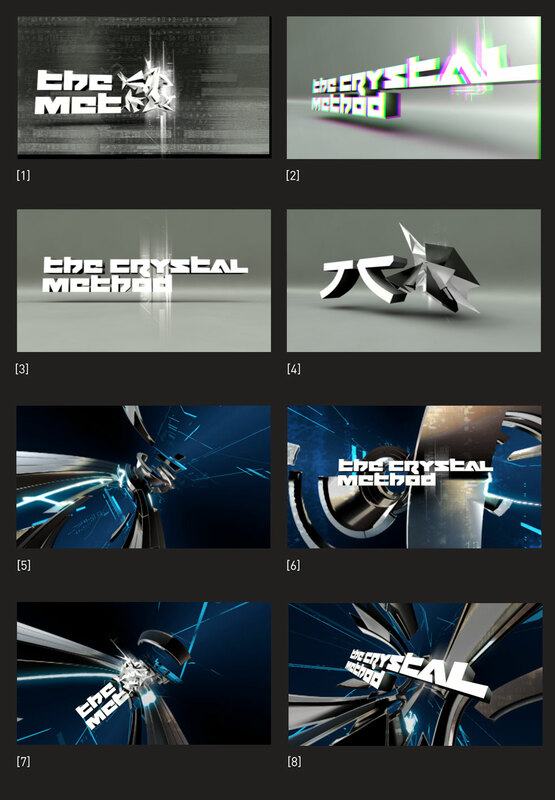 Tristan was commissioned to produce 2 long form ( over 10,000 frames ) music visualization pieces as well as assorted animated logos to be used alone and as mix elements over top of the visualizations. This compilation reel highlights a few of the logo elements along with one of the long form visual pieces…followed by some usage examples. These music visualizations presented Tristan with unique challenges in that they had to be produced in 3 days a piece. This allowed only one day to dig up and mod some “fresh” work from Tristan’s personal library…one day to render the piece using Maya’s hardware renderer…and one day to composite, format and output.